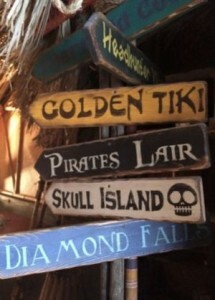 Blog Golden Tiki Ranks With The World's Hottest Bars--Yar!!! 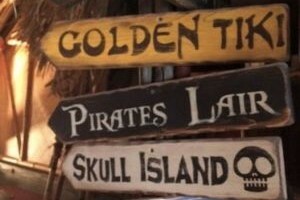 Golden Tiki Ranks With The World’s Hottest Bars–Yar!!! Chinatown Las Vegas has come a long way on its bumpy voyage to becoming a notable tourist attraction. Branden Powers, who seems to have a seventh sense when it comes to out-of-the-box marketing, has put some real yang into the area’s yin and added some yar to the bar as managing partner at the recently opened Golden Tiki lounge on Spring Mountain Road. A lounge that is featured in a popular blog, http://www.barchick.com, as one of the world’s hottest bars. Broad shouldered and barrel chested, Powers cuts an imposing figure. He brings to mind the original pirate (featured animatronically at the Polynesian-themed lounge) who is eternally bound to worship the fabled Golden Tiki. The former Hard Rock Hotel creative director, however, is soft spoken and atypically modest for a man of his position—or dare I say reputation. Powers has been dubbed everything from “the most interesting man in Las Vegas” to “the founding father” of the North American rave scene. The paths of the fearless tend to diverge and in 2012 Powers became a corporate figure at the Hard Rock Hotel. “I brought in a lot of interesting elements but my hands were a bit tied,” he says of the experience. At the same time he also owned and operated the ’80s-themed I Love Yogurt shop in Summerlin. One might speculate that it’s maturity that has brought Powers from the underground techno drug-and-alcohol fueled and frenzied days of rave to a Tiki lounge in Chinatown that’s reminiscent of a trend made popular as far back as the 1930’s. 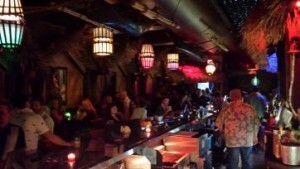 The unique jungle décor, the pirate theme, the original and traditional inspired rum-loaded cocktails and treasure chest VIP offerings at the Golden Tiki are fast making it a popular hangout for those burned out on too much input and too much Vegas hype. 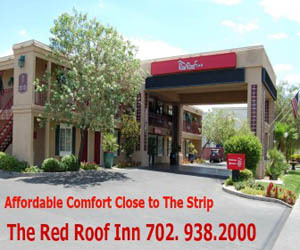 For more information, visit www.thegoldentiki.com or call 702.222.3196. Like the Golden Tiki at facebook.com/TheGoldenTikiVegas.